Rita Milios, LCSW, "The Mind Mentor," combines the science of neuro-biology, traditional psychotherapy techniques, and spiritual growth techniques gleaned from ancient wisdom traditions to help people re-program old, entrenched, self-defeating habits and attitudes and successfully treat anxiety, depression, addictions (substances, people, things), eating issues, relationship issues, trauma, life transition issues and grief. Using interactive guided imagery, dreamwork, intuitive problem-solving techniques, mindfulness meditation and other holistic techniques, along with cognitive-behavioral, humanistic and psycho-education therapies, Rita facilitates a dialogue between the client’s outer (conscious) mind and inner (subconscious) mind, helping them access their own inner wisdom to get “unstuck” and attain the clarity and wisdom they need to reach their goals and move forward on their personal journey. Rita also trains clients in self-help, empowerment and spiritual growth techniques so that they can continue to learn and grow long after therapy ends. As “Mind Mentor" to individuals, groups, corporations and associations, Rita delivers workshops and trainings to clinical professionals, businesses and the public on topics including psycho-neurobiology, stress reduction, self-help modalities, spiritual growth and intuition/creativity. Her most recent presentation was on the topic of bereavement at the 2014 NASW FL Social Work Conference. Rita’s 30+ published books include Tools for Transformation, Instant Inspiration and Discovering Positive Thinking. She has also published more than 100 articles for print and web and audio/video tapes on mind/body wellness, personal transformation and creative thinking. 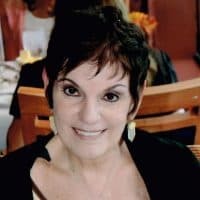 Rita has been featured on radio & TV as an expert on mind and positive thinking, and is featured as an expert at LinktoEXPERT.com and other online speaking/consulting directories. December Depression: Are You SAD? Can You Will Your Way Out of Addiction?